If you’re still searching for the perfect Father’s Day present, look no further. There’s nothing dads love more after a long, hot afternoon mowing the lawn than kicking back on the porch with a Moscow Mule. Already have a present for dear old Dad? Treat yourself then! The refreshing taste of ginger and lime in an ice-cold Mule is one of the best ways to beat the summer heat. 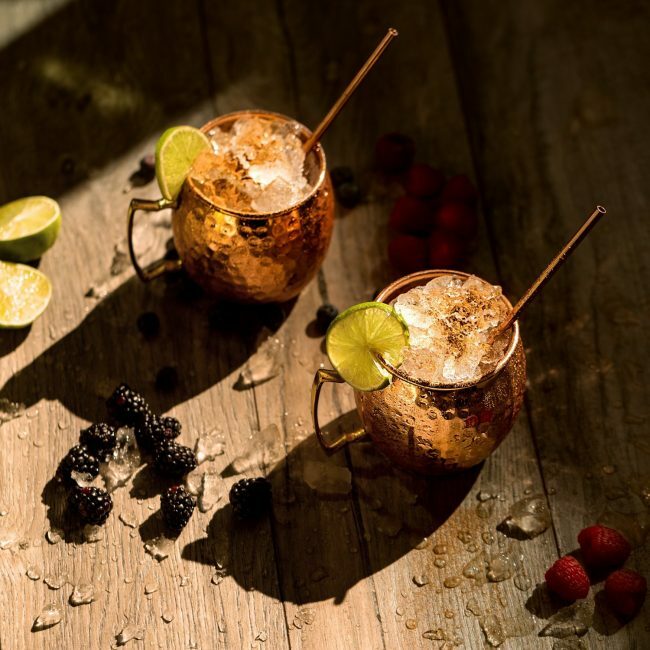 As all cocktail aficionados know, a Moscow Mule isn’t a proper Mule without the iconic copper mug, but where can you get one? Right now, Amazon is having a HUGE sale on the copper mugs: Over 50 percent off for a set of two! What would normally be a $60 purchase is sliced to less than $30. These mugs are the real deal. They’re rated a full 5 out 5 stars! Can it get any better? 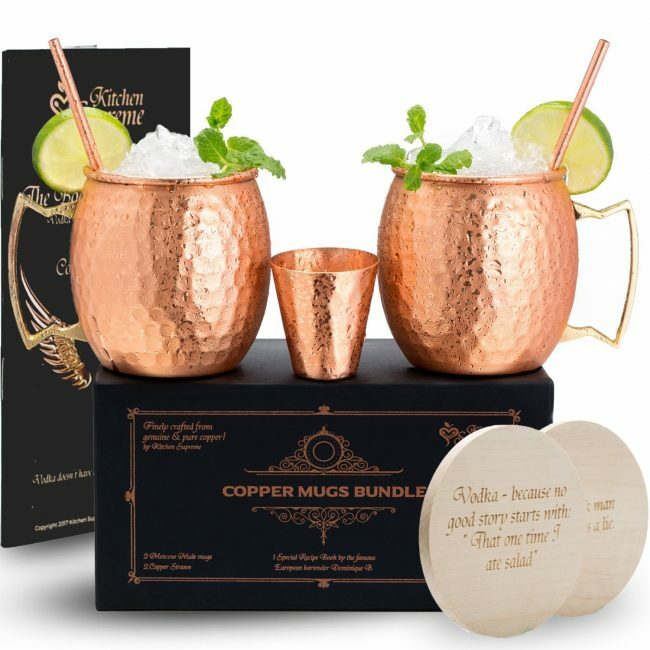 Yes, it absolutely can, because in addition to the twin mugs, your purchase comes with two copper straws, a copper shot glass (for proper measurements or to step up your shot game – your call), engraved wood coasters, and a hard-copy Mule recipe book!